10+ Medication Chart Template – Free Sample, Example, Format Download! 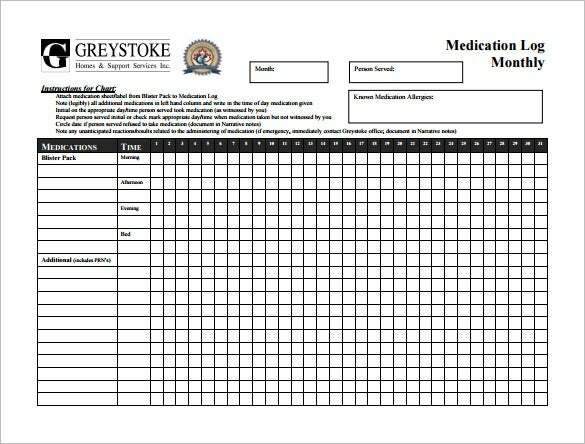 A medication chart template is really handy when you have to keep track on a number of medications prescribed for a patient. 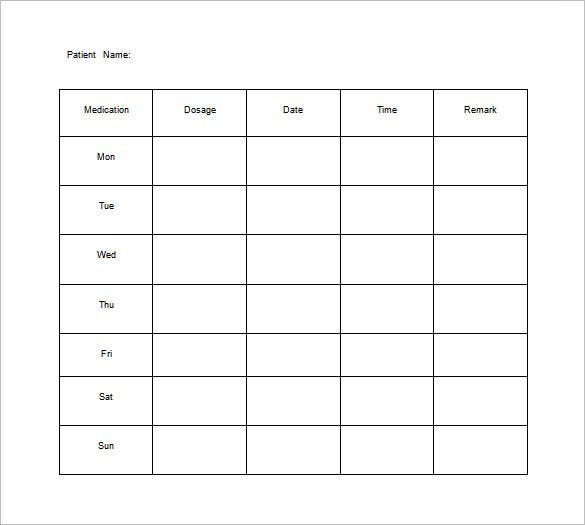 Such a Patient Chart Templates is basically designed to enhance the medications safety for the residents in hospitals or care homes. 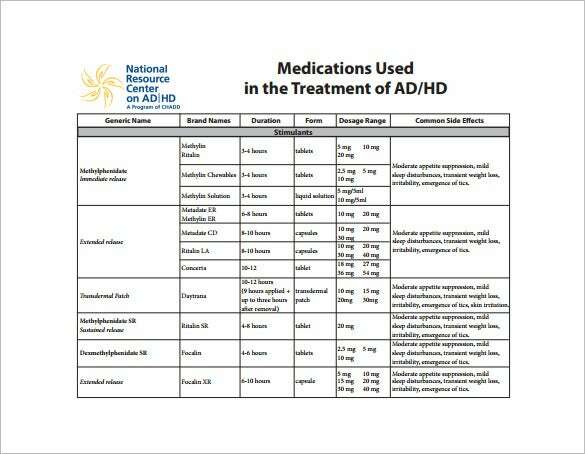 The chart not only features the list of medicines to be taken and when to take them but also the possible side-kicks from these medicines. 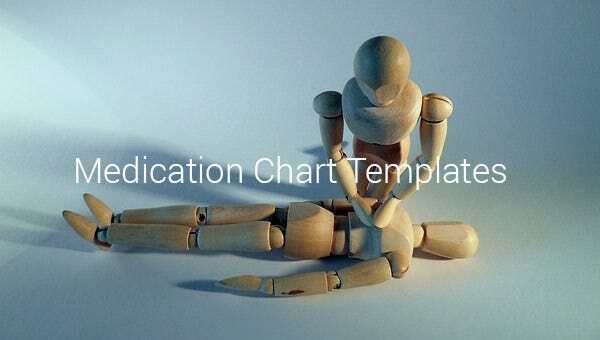 The home medication chart is the best way to understand which medicine suits the body best. After being prescribed by the physician, the medicine is used and the side effects are noted. 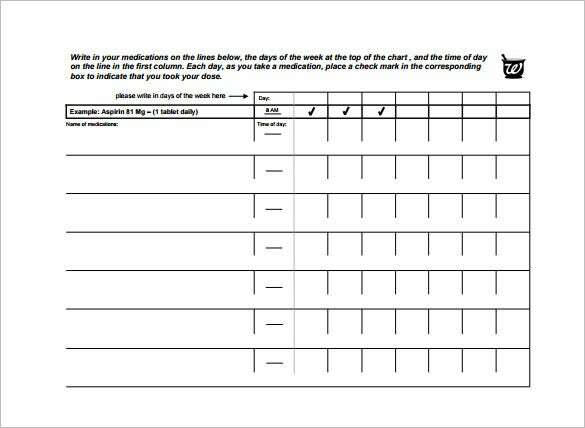 This is check with three or four variants of the medicine and the best one is chosen. The weekly medication is used to track whether the patient is taking the medicine properly. The mediation, dosage, date and time are noted every day so that the patient does not forget to take the medicine. 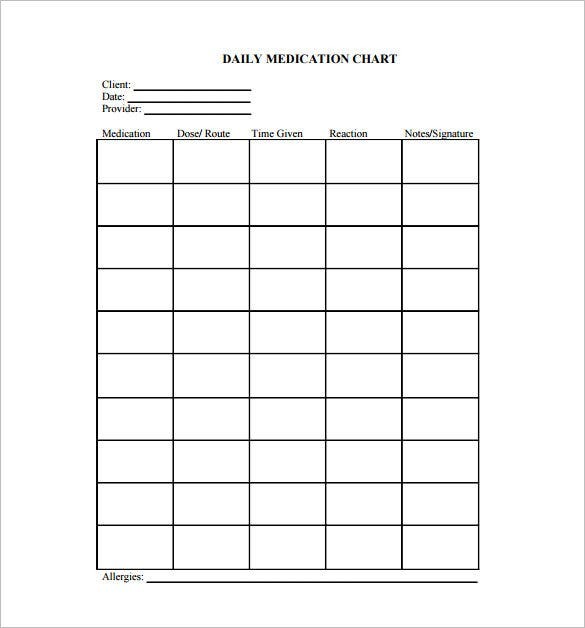 snrproject.com | The daily medication chart is a simple chart which is used to note the name of the medicine, dose, time given, reaction and note/signature. It is used to check the different reaction of different variants of the medicine. 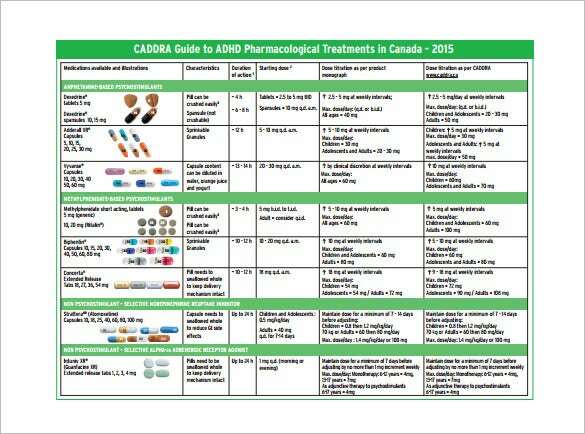 caddra.ca | The caddra medication chart is a guide chart that provides a comprehensive overview of all the medicine created by the company. 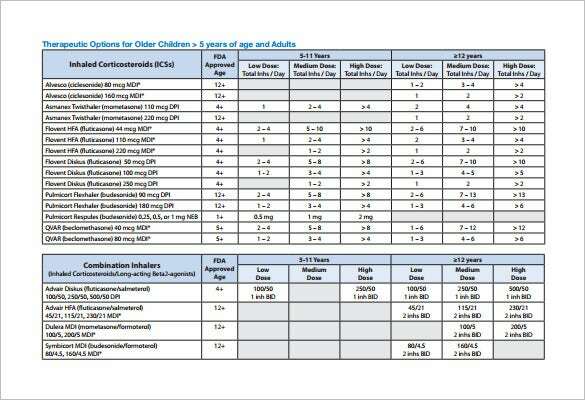 It shows the characteristics, duration, doses of each medicine. 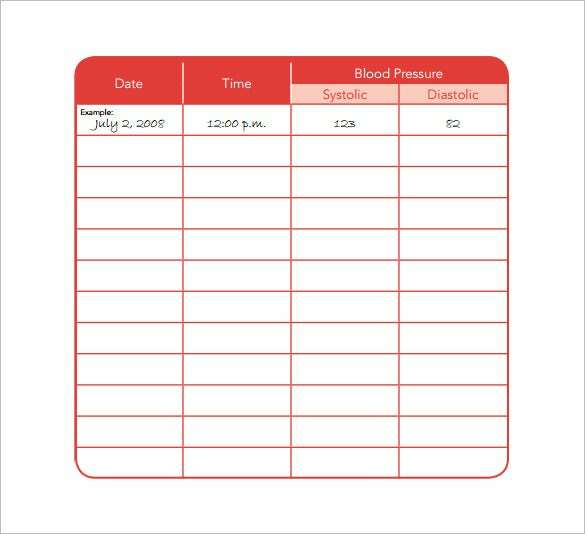 heartandstroke.com | The blood pressure medication chart is a simple but effective chart to track the blood pressure. The date, time, systolic blood pressure and diastolic blood pressure is recorded every time the blood pressure is measured. myhealth.alberta.ca | This chart would be really useful if you have to take up a number of medicines throughout the day. 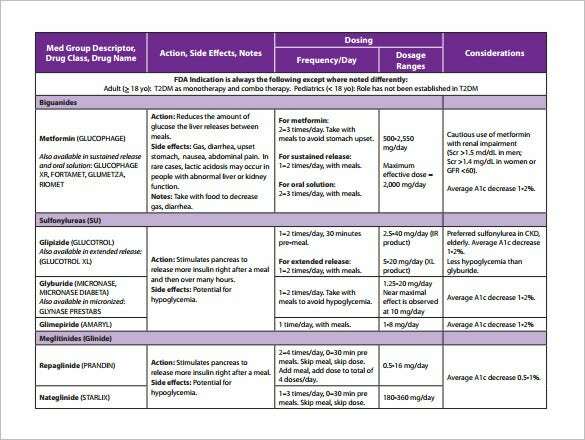 The chart mentions when and what time to consume the medicines listed on the left. healthteamworks.ebizcdn.com | The diabetes medication chart acts as a guide that provides a comprehensive overview of all the medicine that has been created to control diabetes. It shows the name of the medicine, the action and side effects of the medicine, dosage and considerations. 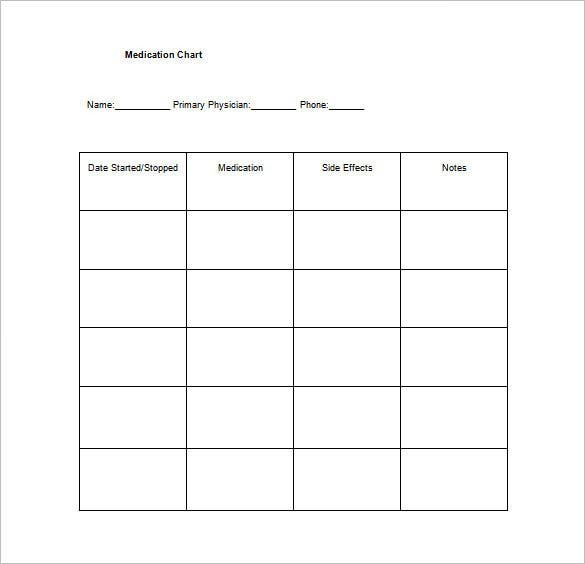 A medication chart template sample offers you a pre-defined structure of a medication chart so that you don’t have to create everything from scratch. 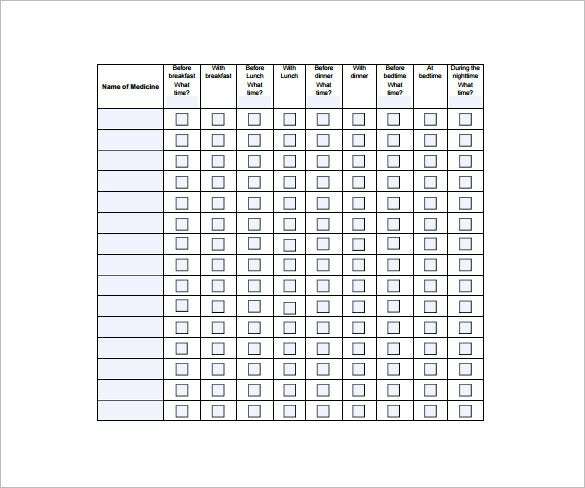 These Free Chart Templates to download most of the times and can be easily customized with your specific medication data.